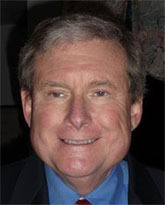 Bob Flores is a co-founder and partner of Cognitio Corp. Previously, he was the president and CEO of Applicology Inc., an independent consulting firm specializing in information technology issues. Prior to Applicology, Bob spent 31 years at the Central Intelligence Agency. While at the CIA, he held various positions in the Directorate of Intelligence, Directorate of Support, and National Clandestine Service. Bob was the first enterprise chief technology officer at the CIA, where he was responsible for ensuring that the Agency's technology investments matched the needs of its mission. In addition to his senior-level leadership and management positions, Bob's career included assignments in applications programming, training and education, contract and project management, and both line and staff management roles at various levels of the Agency.